Polk County Inmate Falls Ill, Passes Away at Hospital, Rangers Investigating, LIVINGSTON, November 15, 2016 - The Texas Department of Public Safety is investigating the Nov. 11 death of a prisoner who was being held at the Polk County Jail. The Polk County Sheriff’s Office requested the assistance of the Texas Rangers. 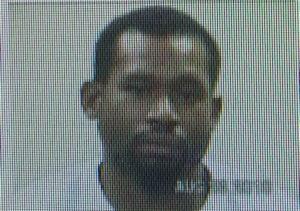 According to the preliminary investigation, Antwaun Bogany, 32, of Livingston, reported a medical issue to jail staff. The issue was brought to the attention of jail staff on the night of Nov. 10; Bogany was transported to a local hospital for treatment during the morning hours of Nov. 11. He was then transferred by helicopter to Kingwood Hospital where he later died. An autopsy has been ordered to determine the cause of death. Bogany had been incarcerated at the jail since his Aug. 29 arrest by the Polk County sheriff’s deputies. At the conclusion of the investigation, the Texas Rangers will present their findings to the Polk County District Attorney’s Office for review. This is an ongoing investigation; no additional information is available at this time.